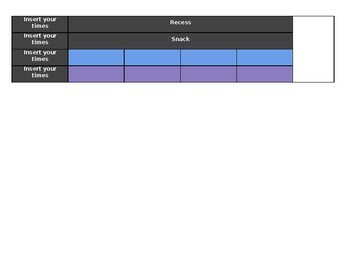 This is a template I made for my class schedule. I use it every year because when I'm across the room, the colours show me what class is coming next, rather than the words. 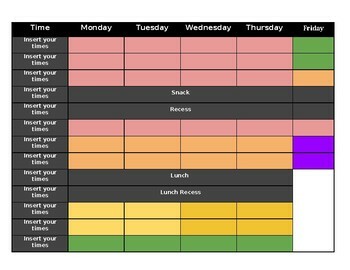 It's helpful for when you're busy and need just a quick glance.